With all 5 Fallout 3 addons downloaded and played through, I thought i’d write a little bit about each addon for my personal game of the decade. Obviously this article will contain minor spoilers and plot points. The first of the addons, and the weakest. 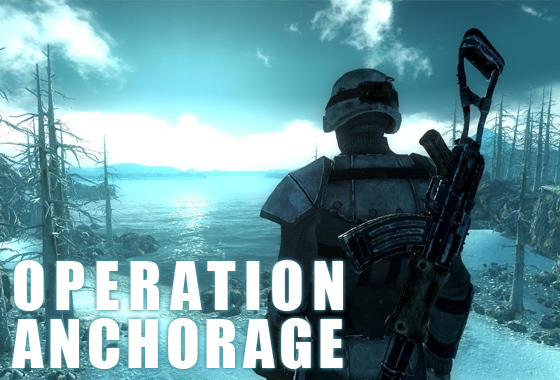 Operation Anchorage puts you inside a simulation of the battle between the US and China at Anchorage, Alaska before the bombs fell. Firstly, it’s a very different experience from the main game – really linear, and being a simulation enemies and their weapons disintegrate when killed, meaning you can only pick up weapons and ammo at specified points in the game – in turn removing the scavenging element increases the pace alot. The freezing mountain setting is a great change from the dry and dusty Capital Wasteland, and you can literally see for miles at some points, but don’t try getting anywhere off the beaten track, you’ll hit a zappy wall. Item detection seemed a little glitched too, usually in the gameworld if there are a number of items on a desk you can continually mash the a-button and it’ll pick them all up. In OA your crosshair has to be EXACTLY over the item or no pickup for you. Operation Anchorage was enjoyable enough, but I was ready for it to finish when the time came – and absolutely itching to try the Gauss Rifle out against some proper enemies! 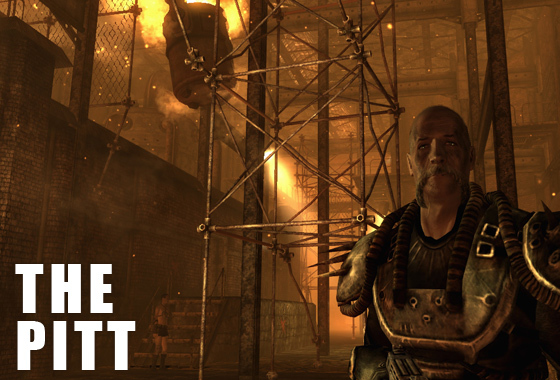 Responding to a distress call from an escaped slave, you travel north to The Pitt – an industrial city ruled over by an ex-member of the Brotherhood of Steel and his cronies. A massive improvement over Operation Anchorage, the Pitt is again a real difference from the Capital Wasteland, the sky is covered with smog, casting a permenant shadow over the settlement. The area itself is quite small, but instead of the sprawling wasteland this place expands vertically with a myriad of gantries and platforms towering above you to explore. Posing as a slave, you leave all your gear behind and sneak inside, performing dangerous collection missions while dodging troggs, monsters created by the filthy surroundings the slaves live in – no super mutants here. A Thunderdome style arena holds the key to your ascension from slavery and towards your ultimate goal. The great thing about this addon is the story, unlike the missions before it with a usual clear right or wrong it’s a real moral grey area and neither path carries any karmic weight. Both sides are very much working towards the right thing, but the wrong way. There’s plenty of reason to revisit the Pitt after the main quest is complete too, collecting steel ingots nets rewards from a guy in the Mill, and access to an ammo press allows you in theory unlimited ammo for your favourite weapon! This is the big one – removes the original games ending, increases the level cap to 30 and sends you on a mission hit the Enclave where it hurts. If you had to buy just one of these addons, let it be this one. 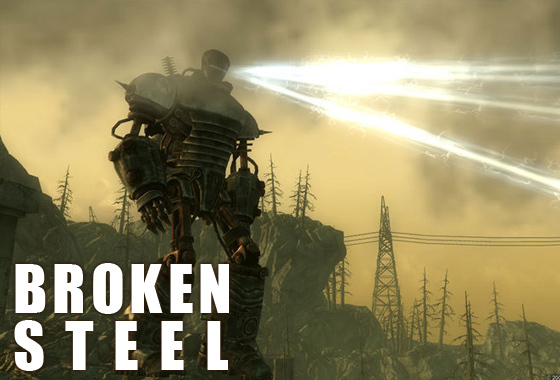 Broken Steel is awesome – taking away the games ending and allowing you to roam the wastes would be more than enough for some, but it adds a decent amount to the main story also. Two weeks have passed since the purifier was activated, caravans now travel the wasteland delivering the clean(or FEV’d) water to the masses. You wake up in the Citadel and in the absence of Sarah Lyons head into battle for the Brotherhood against the Enclave. Fighting alongside Libery Prime again is worth the money alone, but sadly the big dude gets taken out early by an orbital missile platform – it then becomes your mission to destroy this. You revisit familiar locations to build an awesome weapon, traverse a Presidential tunnel system under DC and gain access to Adams Air Force Base, where your battle with the Enclave meets its climax. To compliment the level cap raise, a bunch of new enemies are included, the Super Mutant Overlord, the Feral Ghoul Reaver and the Albino Radscorpion – all insanely hard to test your new strength. A steamer arrives in the Capital Wasteland, offering passage to Point Lookout – an expansive dark and murky swamp area in Maryland ripe for looting. 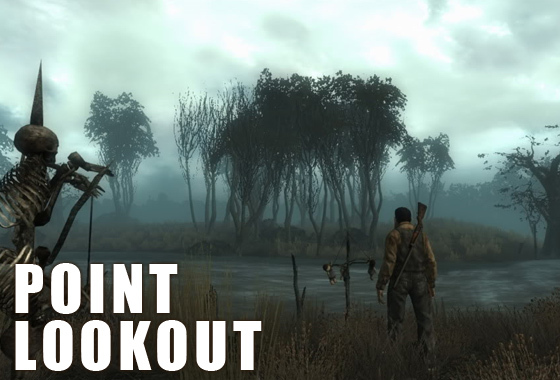 The first of 2 addons announced after the original trio, Point Lookout is certainly geographically the largest addon, giving you an area about a 1/5th of the size of the Capital Wasteland to explore. 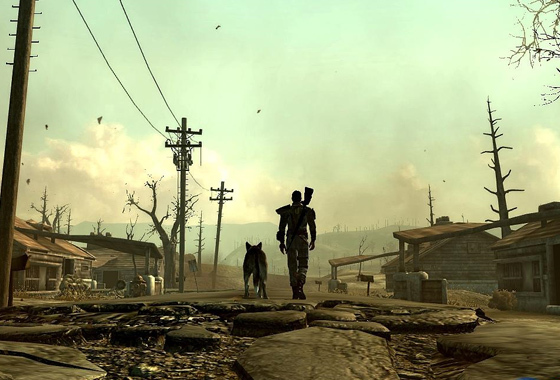 The area contains a ruined fairground, a military base and a gigantic mansion amongst other things and has an unsettling murkiness which, like the addons before contrasts against the Capital Wasteland nicely – the first time you return from Point Lookout you’ll be surprised how clear your view is! Firstly, the story is weird, super weird, centering around a cast of characters including cultists, deformed yokels(some who look alot like L4D boomers) and a brain in a jar who controls robots(seriously) but it all ties together well and is super enjoyable. You can complete the ‘main’ quest pretty quickly, but there’s plenty more to keep your attention including a quest chain which has you following in the footsteps of a Chinese spy’s mission prior to the war – and following it to completion. There’s also a grisly ‘Ghoul Safari’ and a freaky quest revolving around cults and a dark book which will see you returning to the Wasteland to vanquish its evil. Worth a special mention is a sequence in which you are drugged by venom from a plant, which makes you hallucinate giant bobbleheads, Nuka Cola bottles growing on trees which erupt into mini mushroom clouds and a gigantic needle and thread stitching the world together! Last but not least, responsing to a gibberish distress call, you’re abducted and beamed aboard Mothership Zeta, team up with people from across Earths history and escape! Waking up in a cell without any of your gear, you team up with a fellow wastelander to bust your way out. You’ll team up with some interesting people along the way – a young girl reminiscent of Newt from Aliens, a cowboy, a veteran of Operation Anchorage and a SAMURAI(although he’s pretty useless and just shouts at you in Japanese). No Elvis or characters from earlier Fallout games sadly. 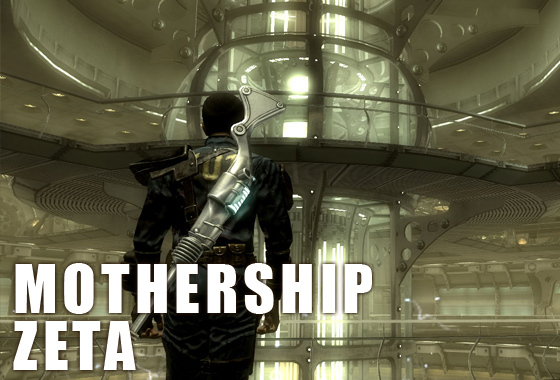 Mothership Zeta is a fitting end to the downloadable content, adding an interesting new location and saving the different world locations like the commonwealth for future games. So there you have it, my thoughts on the five addons, hope you enjoyed reading, and if you’re looking to buy one it’s helped you pick which! I play Fallout 3 and have never been to any of those places! Either I’m blind or there’s more than Fallout 3 tan I think! My website is http://mightynick.com. I just made a blog about Fallout 3. They’re all downloadable content available currently for the Xbox 360 and PC versions, best set of DLC i’ve ever known for a game, Bethesda really outdid themselves! Hi I actually played on 360 as my PC is a bit of a dinosaur, but yes I don’t see why you wouldn’t be able to play with them all at the same time, they aren’t incremental or anything you can literally pick and choose which ones you’d like to install!